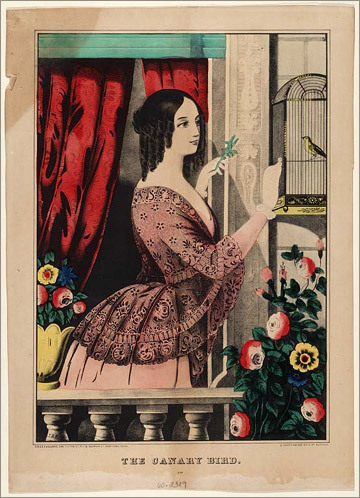 Colored print; three-quarter length portrait, of a young woman standing on a balcony behind a balustrade feeding a caged canary. Flowers beneath the bird cage and in a flower pot to the left of the woman. Drapes and venetian blinds in background. Simple dress with ornate lace shawl.